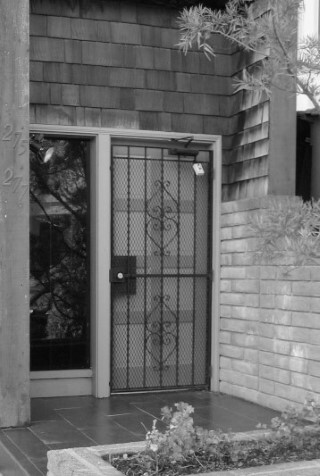 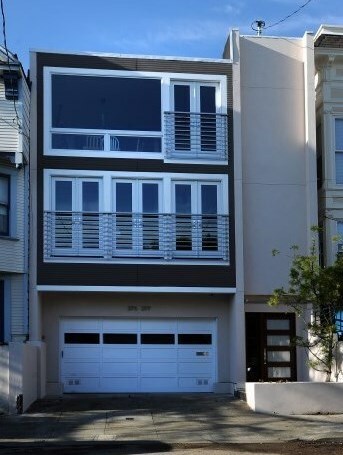 The facade of this 1978 two-unit dwelling in San Francisco was remodeled in this project. 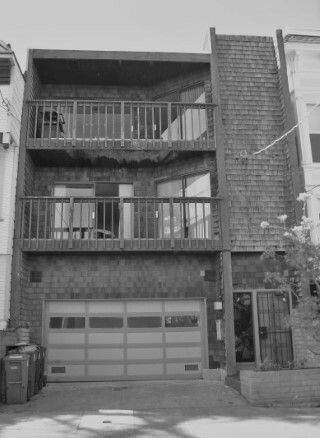 The existing front decks were infilled to expand the interior space, but french doors were provided at each floor to maintain a strong connection with the outdoors. 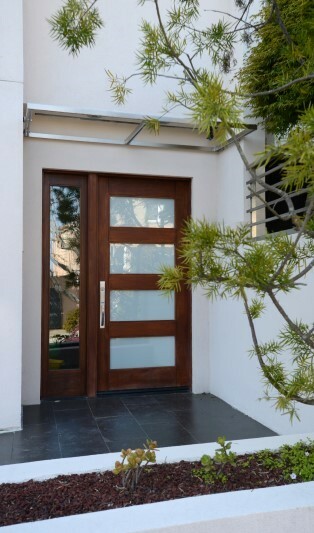 The facade materials and details were changed to enhance the simple form of the original facade. 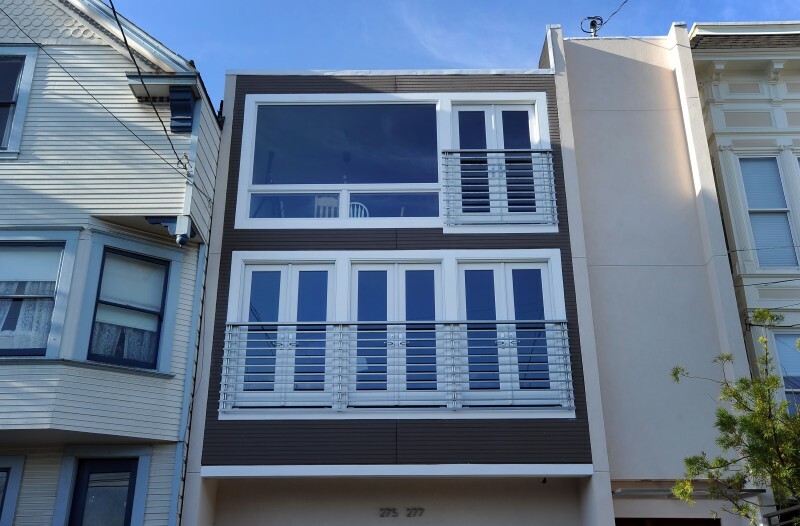 Stucco with an integral color, pre-finished cement fiber siding and trim, aluminum clad windows and doors, and stainless steel metalwork were utilized for their aesthetic and low-maintenance qualities.